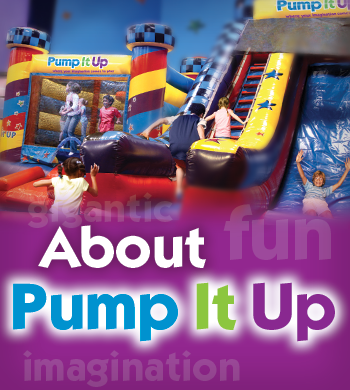 Pump It Up is South Jersey's premier private party center located in Marlton, NJ and minutes from Cherry Hill, Mt. Laurel, Voorhees, Medford, Shamong, Burlington, Berlin, Sicklerville, Blackwood, Cinnaminson, Pennsauken, Bellmawr, Deptford and just a short drive from all of the Philadelphia bridges. All of our parties are 100% private- guaranteed! We DO NOT share arenas. We DO NOT share party rooms. We have the largest private arenas and private party rooms in South Jersey.